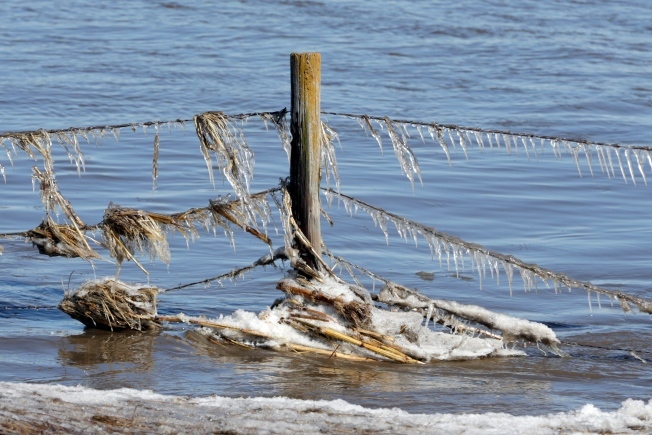 A fence encrusted with ice and corn stalks, stands in flood waters of the Elkhorn River, in Norfolk, Neb., Friday, March 15, 2019. Thousands of people have been urged to evacuate along eastern Nebraska rivers as a massive late-winter storm has pushed streams and rivers out of their banks throughout the Midwest. Residents in parts of southwestern Iowa were forced out of their homes Sunday as a torrent of Missouri River water flowed over and through levees, putting them in a situation similar to hundreds of people in neighboring Nebraska who have been displaced by the late-winter flood. In Iowa, the Missouri River reached 30.2 feet (9.2 meters) Sunday in Fremont County in the state's far southwestern corner, 2 feet (0.6 meter) above the record set in 2011. People in the towns of Bartlett and Thurman were being evacuated as levees were breached and overtopped. Lucinda Parker of Iowa Homeland Security &amp; Emergency Management said nearly 2,000 people have been evacuated at eight Iowa locations since flooding began late last week. Most were staying with friends or family. Seven shelters set up for flood victims held just a couple dozen people Saturday night. 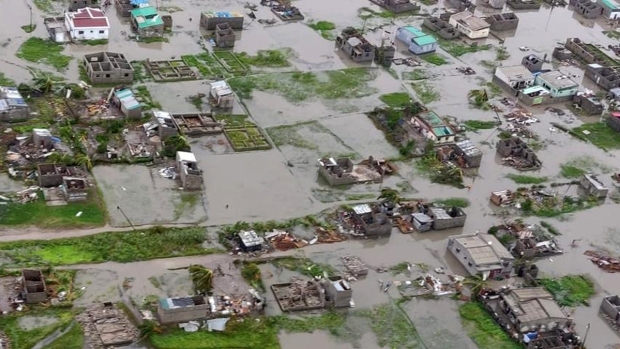 In hard-hit Sarpy County, Nebraska, up to 500 homes have been damaged, including some cabins along a lake, said Greg London of the Sarpy County Sheriff's Office. The damage followed breaches of levees along the Platte River on Thursday and Saturday, and a Missouri River levee break on Thursday. The two rivers converge there. "This area's had flooding before but not of this magnitude," London said. "This is unprecedented." Flooding was causing problems for passenger train service between Kansas City, Missouri, and St. Louis. Amtrak said Sunday that its Missouri River Runner service between the state's two largest cities was experiencing delays up to five hours because of flooding and rail congestion. All Missouri River Runner trains will be canceled Monday. The service typically travels twice daily between the two metropolitan areas.